Of course, the cranky and attitudinal gun store clerk knows the gun part the customer wants—a device that holds ammo in a Glock pistol—but because it wasn’t properly referred to as a magazine, he’s too snobbish to overlook the incorrect use of gun terminology. The short explanation is that a bullet is just one part of a cartridge, so they’re not technically the same. 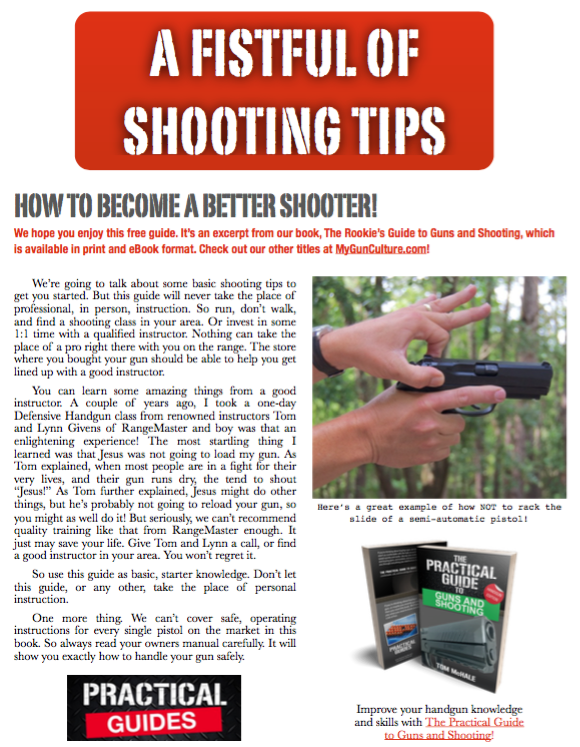 Personally, I don’t care if you call the stuff you load into your gun bullets or cartridges—I’m just happy you’re out shooting!—but in the interest of education and accuracy, it seems like a good idea to explore the whole topic and get really clear on what’s what. And while we’re clarifying these terms, we can go a bit deeper and discuss exactly how a cartridge works and its exact relationship to a bullet. Read the rest at Range365! Nicely done and well written. I liked the illustrations; they probably make it easier for Journalists to understand what you’re saying. Not that they will TRY … but I’ve bookmarked this article under my “Journalists Guide To Firearms” tag for future reference. Just in case. I’ll send this off to MDA right away!! I’m still working on my morning coffee… What’s MDA again?